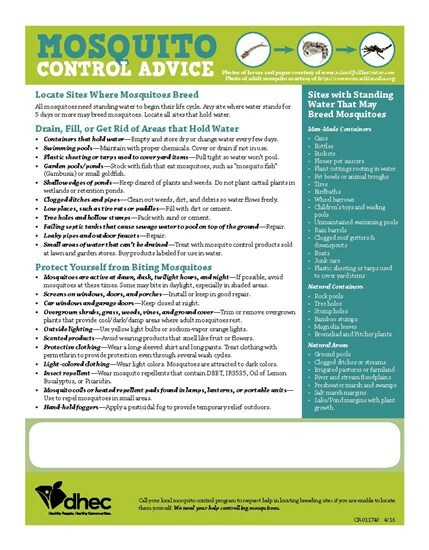 The Town of Batesburg-Leesville is committed to ensuring the public’s health and wellbeing by doing its part in helping to control the mosquito population. Staff from the Public Works department use some of the latest technologies to detect, deter, and report mosquitoes. The Town has also developed a Mosquito-borne Disease Response Plan to limit mosquito-borne diseases, detect exposures, and outline the organization's response to known outbreaks. 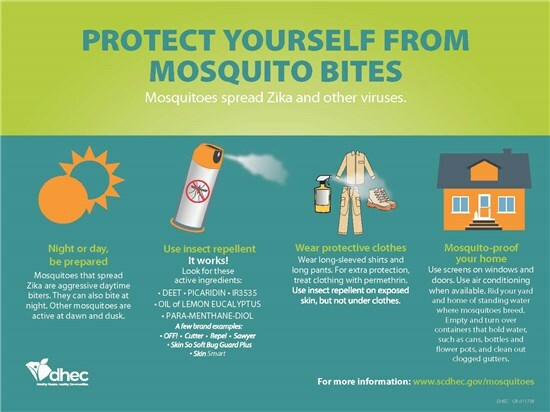 Below is additional information regarding mosquito-borne diseases, the role of residents and businesses, and helpful resources. 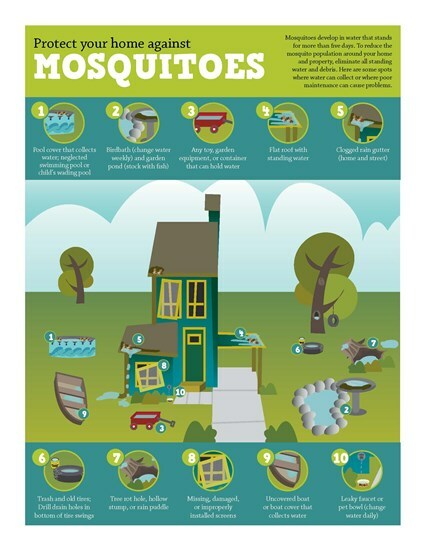 Residents play an important role in reducing the number of adult mosquitoes by eliminating standing water that may support the development of mosquito larva and pupa. For example, residents can properly dispose of discarded tires, cans, buckets, maintain pools correctly, unclog blocked gutters and drains, dump water from bird baths and pet dishes at least every 2-3 days, ensure air conditioning condensate is not pooling for several days, control irrigation so standing water is not produced, irrigate so runoff is not produced, and perform similar activities around homes and businesses. Water that cannot be eliminated should be treated with a biological mosquito larvicide, in accordance with manufacturer’s recommendations. To control the mosquito population we all need to do our part. Below is additional information for residents and businesses.